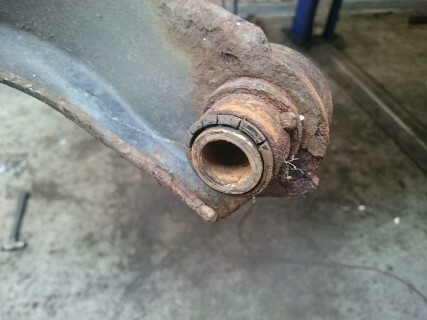 This issue was identified during a visit to Brickwerks for a service and maintenance. The repair for this was done at the same time as the work done on the radius arms. The culprit. Old and worn due to a distinct lack of maintenance.